Steve has over 35 years of transportation industry and supply chain experience. 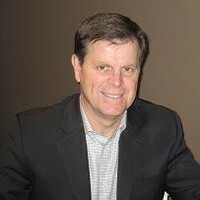 He has held a variety of positions working for retailers such as Hudsons Bay Company and Loblaw, third party logistics providers and carriers in supply chain, transport operations and strategy. He was Vice President, Transportation for the Tibbett & Britten Group North America when their customer, Walmart, came to Canada. His last position was as Director of Operations for Canada Cartage managing their Sobeys account. Canada Cartage delivered to over 600 locations across Ontario from three Sobeys distribution centres. Steve has a Bachelor of Commerce with Honours degree from Queens University.